IDC Women Gatherings hosted Asw. 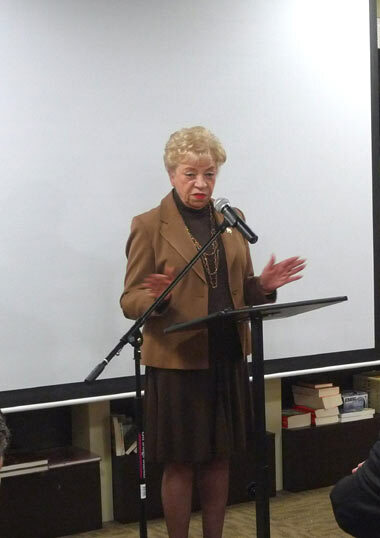 Joan Voss, 38th District, on Wednesday, April 13th 2011. She gave a lecture on "Autism" which is a is disorder of neural development characterized by impaired social interaction and communication, and by restricted and repetitive behavior. The program was at Ant Bookstore in Clifton. She talked about autism first giving examples from her personal life. Then, she summarized what laws the legislators passed and what others should be passed. She also talked about autistic kids as well as adults. 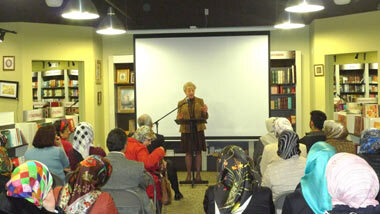 Many Guests attended and joined the lecture with their questions.